Hey dude, real men do their business in the front and their partying in the back…and it's about time you get on board. As we’re sure you know, the mullet was the hottest men’s hairstyle to emerge during the 80s—and if you were one of the cool kids, you had one. Who knows why they turned out to be one of the most talked and joked about hairstyles in eternity…maybe it’s because there was a bit of mullet envy involved. After all, if you had a mullet in the 80s, you looked like the most revered rockers of the time, and they attracted all of the girls, girls, girls. You can relive your glory daze or become that righteous mullet-haired god you’ve always wanted to be. 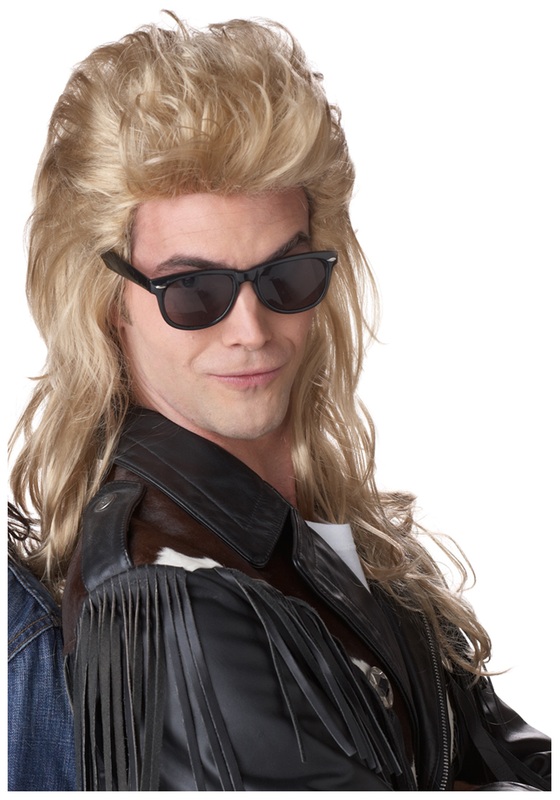 The perk of this 80s Blonde Rock Mullet Wig is that you don’t have to endure a moment of embarrassment while growing your own hair out. Wear this mullet wig with pride. You’ll look totally rad. Rock on!